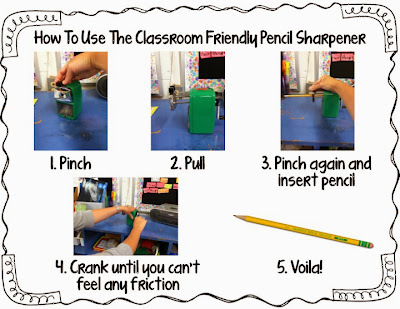 Do you have a Classroom Friendly Supplies pencil sharpener? And if you do, do you have adult helpers or subs who never know how to use it? I whipped up this picture direction page that you can put up next to your sharpener or include with your sub plans. I hope you can use this!